Home Opinion The Kingdom Betrayed? LONDON – The old saying “lonely is the head that wears the crown” has literally taken on new meaning for Saudi Arabia’s King Abdullah. Not only has he watched close regional allies, Egypt’s President Hosni Mubarak and Yemen’s Ali Abdullah Saleh, be toppled, but fellow crowned heads in Bahrain, Morocco, and Jordan have also felt their thrones quake from public protest. Now the Kingdom’s longtime protector, the United States, which let down Abdullah by (reluctantly) embracing the Arab Spring, is poised to pull its troops out of neighboring Iraq. Who, Abdullah wonders, will keep the Iranian wolf from the Kingdom’s door? According to a security agreement reached with Iraq’s government, the US is to withdraw its forces by the end of this year. Saudi Arabia, along with its Sunni-ruled Gulf neighbors, is anxious that some US troops remain in Iraq to help keep a resurgent Iran at bay. The US government does not need to be convinced about that, but the American people – and ordinary Iraqis – want to see the troops go home. No Iraqi political faction wants to be blamed for prolonging the occupation, but most, with the exception of Muqtada al-Sadr’s movement, will agree to extend America’s military presence by another five years. Although the US and the Gulf monarchies share a fear of Iran, much else about Iraq and the region is now in dispute. Saudi Arabia still loathes the idea of a democratic Iraq under majority Shia rule. The Shia, considered apostates by the Kingdom’s Wahhabi establishment, are viewed as a threat to the Saudi state’s legitimacy and existence, not only because of Iran’s power, but also because of the Kingdom’s large, indigenous Shia population, which is concentrated around the country’s oil fields. 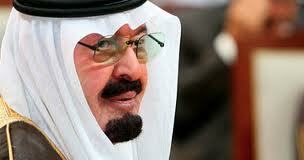 Ever since the fall of Saddam Hussein, the US has urged Saudi Arabia to invest politically and economically in Iraq. Instead, Saudi authorities treated Iraq’s leaders with contempt and closed their eyes to Wahhabi fatwas that encouraged jihadi volunteers to fight against the Shia “apostates.” By shunning Shia-dominated Iraq, Sunni-majority Saudi Arabia, Jordan, and the Gulf states have virtually no influence in Baghdad, thus leaving the field open to Iran. Saudi Arabia’s fears about Iraq are driven by security concerns. Despite the bloody civil war that followed Saddam Hussein’s ouster, Iraq still believes that it has a right to regional leadership. The region’s monarchs, however, have excluded Iraq from the Gulf Cooperation Council. Saudi Arabia, fearing that any role for Iraq in determining regional security would diminish Saudi political and military dominance among the Gulf countries, has still not opened an embassy in Baghdad. Saudi Arabia also fears that Iraq will regain its oil-output quota within OPEC, which the country couldn’t meet, owing to poor security and infrastructure constraints. The Saudis suspect that rising oil prices will revive Iraq’s economy, and that of Iran, thus boosting their regional clout. This explains the Kingdom’s eagerness to increase oil production, which would weaken its competitors’ economies (and please the West). So the Saudi and Sunni Gulf rulers want to keep US military forces in Iraq partly in order to keep the country down. Indeed, Kuwait refuses to forgive Iraq’s Saddam-era debts, and is building a port at Mubarak al-Kabir, which Iraqis view as a naked attempt to suffocate Iraq’s already limited access to the Persian Gulf. And Bahrain has responded to Iraqi criticism of its political repression by halting its national airline’s flights to Baghdad, Beirut, and Teheran, all perceived to be Shia demons. But the real protective shield for the Gulf rulers is the presence of US troops in Iraq, because the Kingdom’s blinkered strategists failed to see that a failure to engage with post-Saddam Iraq would leave the field open to Iran. But the Saudi dream of turning back the clock and to a minority Sunni-ruled Iraq made realistic diplomacy impossible. Despite this failure, Iraq continues to be shunned by the region’s Sunni-controlled states. Iraq has attempted to forge a political role for itself within the Arab world by participating in Arab summits, but when its turn came to play host, the summit was postponed for a year, owing partly to the Arab spring, but also to some Gulf countries’ refusal to participate in a meeting held in Baghdad. America’s military withdrawal from Iraq will indeed be a gift to Iran. But that is entirely because the Saudis have behaved since 2003 as if they feared Iraq’s Shia – and their own – much more than they do the Iranian regime. Mai Yamani’s most recent book is Cradle of Islam.